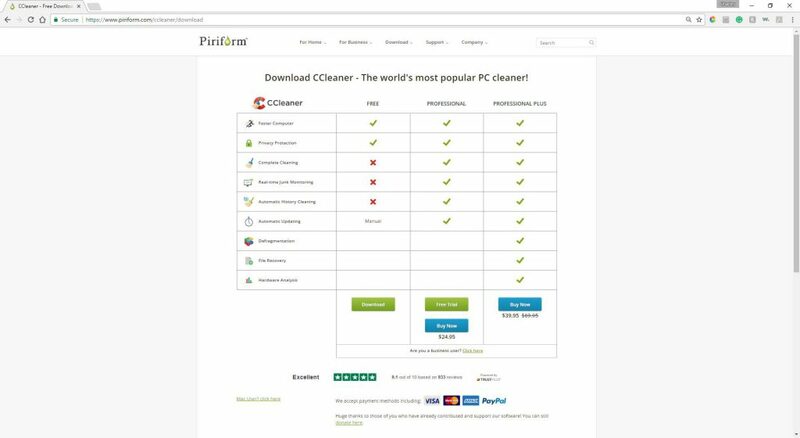 Download CCleaner from the Piriform website. The free version is adequate for most users unless you want to schedule regular cleanings. Follow the instructions and install the application. Open the application and it should open the screen shown below. 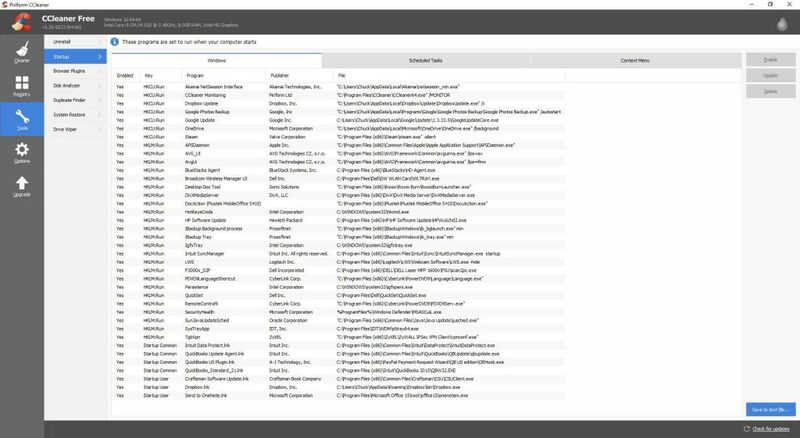 Ccleaner – Boxes to check for thorough cleaning. Look at the bottom left, several items are greyed out and unchecked. I strongly suggest adding “Windows Error Reporting”, “Windows Event Logs”, “Old Prefetch data”, “IIS Log Files”, and if you have reset or upgraded your machine you will have an “Old Windows Installation”. Only check the later if you are sure you do not want to downgrade back to an old installation. You may get several warnings asking if you are sure you want to delete the selected files. 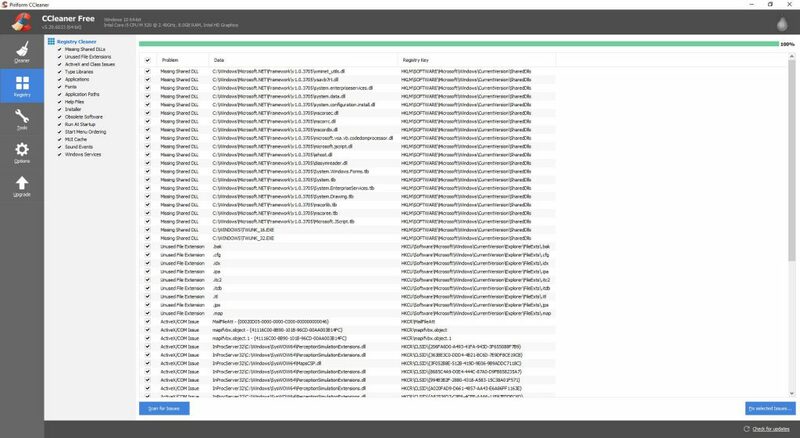 Click on the Application Tab (Top Left) and make sure all of your applications are checked then click on the Analyze Button. After a few minutes the scan will be done. The amount of space saved will be listed at the top left. 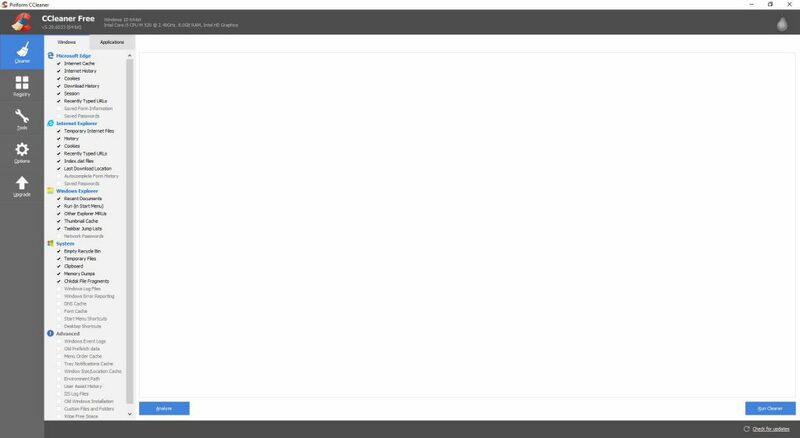 Nothing is removed until the Run Cleaner is clicked, click on Run Cleaner. Now click on the Tab marked Registry and then Scan for issues. Next click on the Fix Selected issues button. 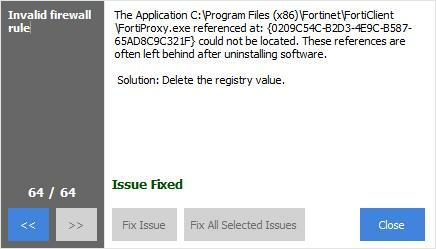 A Warning will come up asking you “Do you want to backup changes to the registry?” Click Yes and note where you save the file too in case you experience issues with the cleaning. You can damage your machine so I strongly suggest you back the registry up. Click on the Fix All Selected Issues and then click Close. 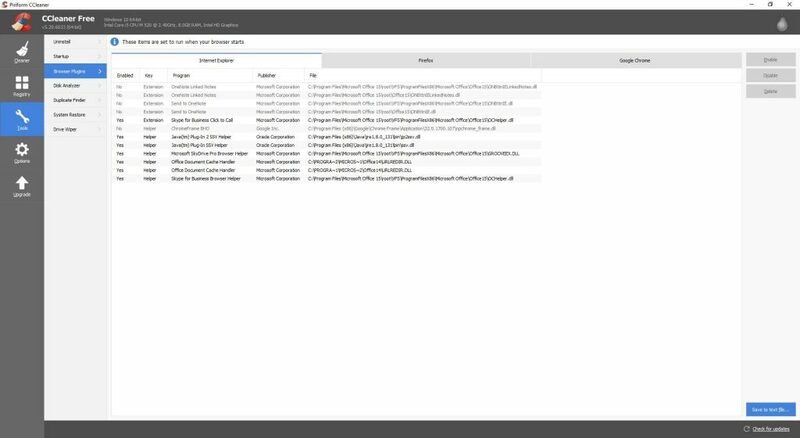 Ccleaner – Fix all Selected Issues. 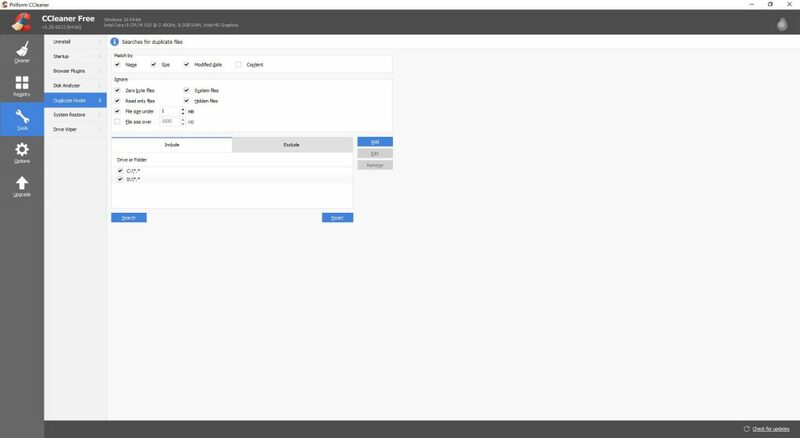 Now Click on the Tools Tab and then the Startup Tab. This is where things get interesting, the entries you see listed are applications that automatically started when your machine starts up. Leave most of these alone but sometimes you will see a corrupted entry with lots of characters and numbers. Delete the corrupted entries, as they are programs that were not cleanly uninstalled and these can directly affect performance. Sometimes there will also be nothing listed under the Publisher, usually this indicates a rogue program or spyware, remove them from startup. In my case the one program that has no Publisher listed I know and trust. Now move to the Scheduled task, again Delete any entries that have lots of random characters and numbers, otherwise leave the entries alone. Finally click on the Context menu and again look for any corrupted entries, remove them. Last but not least click on the Browser Plugins and you will see tabs for each of the Browsers you have installed. In my case I have Internet Explorer, Firefox and Google Chrome. 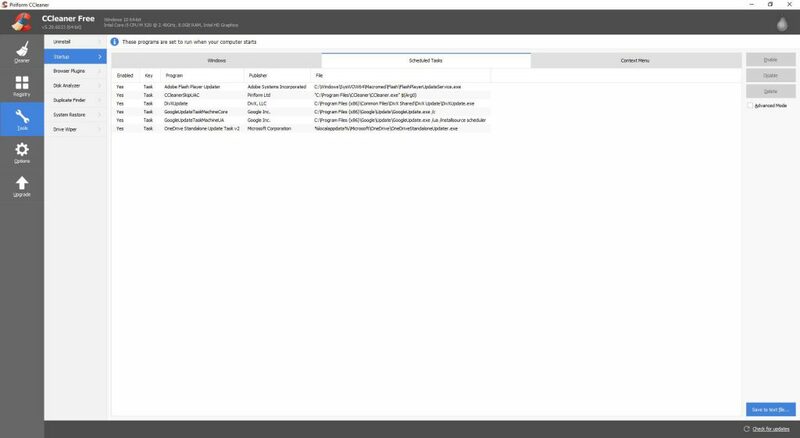 Ccleaner – Context Menu, Browser Check. From this menu you can Enable, Disable or Delete Browser Plugins. Finally click on the Duplicate Finder Tab, using this tool you can search for multiple copies of the same file that is unnecessarily taking up disk space. Once you have run the desired cleanups, reboot your machine to clear the registry changes you deleted earlier. 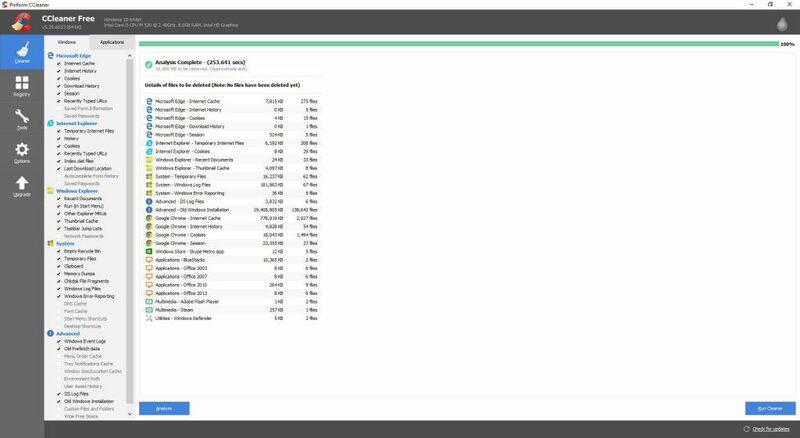 There is no need to run this program more than once a month unless you are low on disk space or concerned about prying eyes seeing your Browser history. Chuck is the founder and Owner of Zypath LLC. With over two decades of experience in computer and networking systems, he specializes in small business communication design, setup, troubleshooting and maintenance.